I’ve lost track of the number of times the “think of the children!” argument has been used during this legislative session. From just the committee meetings I’ve listened to and attended, we’ve easily exceeded double digits. This is a problematic trend. Of course, it’s not at all worrisome to be concerned about kids and ensure that public policy protects their rights as much as anybody else’s. But the undue focus on protecting children from harm too often comes in conjunction with an illegitimate violation of an adult’s liberty. Such is the case with many of the bills presented in the past few weeks. Consider a bill which cleared its final legislative hurdle on Friday: HB13. This bill, sponsored by Rep. Arent, bans individuals from smoking in their vehicles when a child is present. Supporters repeatedly emphasized that children need to be protected against second-hand smoke, and that the government must act on this compelling interest. In the name of “the children,” and assuming the Governor signs the bill, adults will now be penalized for participating in a legal activity (smoking). The same logic used to promote this bill would necessitate (for consistency’s sake) banning smoking inside homes, criminalizing parents feeding their kids too much sugar, putting a cap on the number of hours children watch TV, and even mandating daily exercise. After all, if the state has a compelling interest to ensure that children remain healthy, free from interference even from their parents, then HB13 is only a small step in a much larger array of actions required. Legislators were likewise asked to “think of the children” when discussing and voting upon HB283, sponsored by Rep. Perry, which mandates that adults wear seat belts. Dismissing criticisms that his bill furthers the “nanny state” in Utah, Perry argued instead that drivers can easily lose control of their vehicles at high speeds if they hit a bump or make a sudden movement, thus endangering not only their own lives, but the lives of their passengers (including children) and other drivers who may be hit by the uncontrolled car. 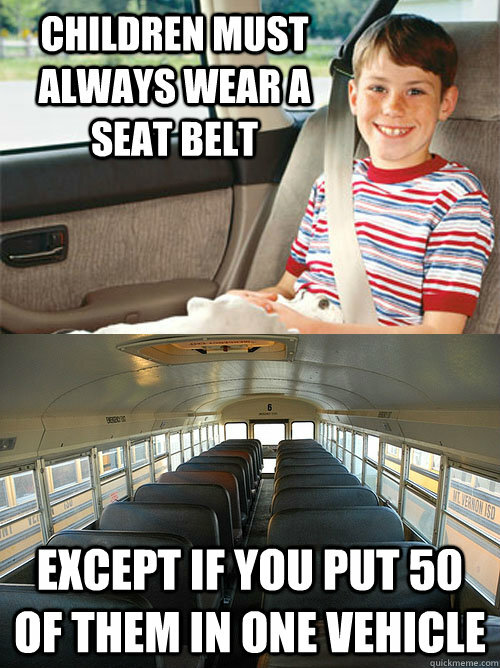 If there is so much concern with the safety of children, as well there should be, then those who wish to utilize the government to achieve that end would have long ago mandated that children wear seat belts when in school buses. The state owns and operates 2,225 buses, each of which has a capacity of 57-84 children passengers. Conservatively estimating just 40 passengers (since not all buses are always full), that’s 89,000 kids riding in a vehicle twice each school day with no restraint. If children’s safety was really a concern, then the government would be mandating safety restraints in its own vehicles rather than imposing mandates upon individuals driving their own. This glaring inconsistency is at the root of many other political issues, where the mandates violate liberty more than they protect safety. Consider the prevalent topic of gun control—anathema to Utah conservatives. 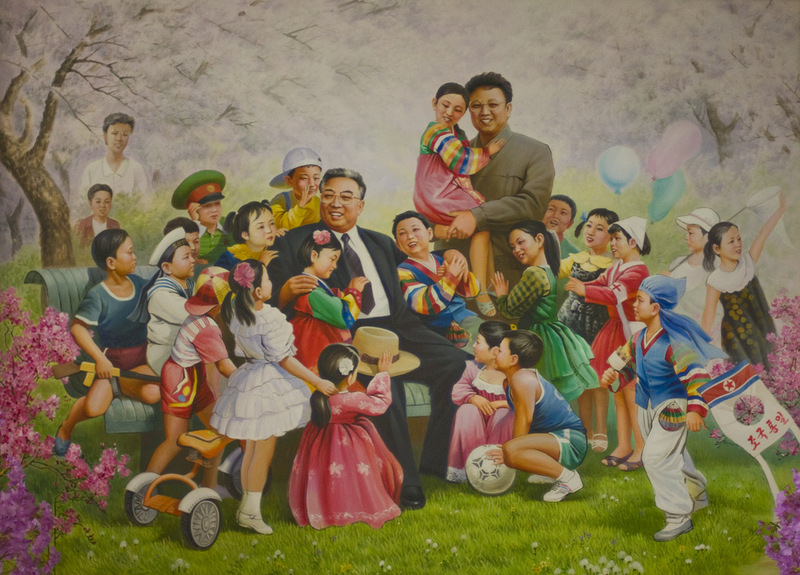 “Thinking of the children” leads vocal critics to demand disarmament and severe restrictions to access and carry weapons. Pushing back against this imposition, Second Amendment supporters recognize that guns pose a risk to children, yet affirm that the individual must not be denied his right to self defense along with the tools and actions necessary to fully exercise that right. Thus, in this case, the individual right trumps the potential risk for children to injure themselves or be injured (or killed) by others. Unfortunately, this proper prioritization is a rare occurrence once the “children” argument has been invoked. Radical environmentalism employs the same intergenerational concern to punish current property owners in the name of protecting the Earth’s resources for the rising generation. Oddly, many of these same individuals favor heavy government spending which imposes a significant financial burden upon the same yet-to-be-born batch of kids. The list goes on. The “think of the children” attitude justifies the failed war on drugs which has robbed too many innocent people of their civil liberties, and even their lives. It encourages the nationalization of education, centralizing control over curriculum, programs, and standards in the name of preventing any child from being left behind. It has forced restaurant owners to erect a “Zion wall” to shield children from even seeing alcoholic drinks, ostensibly to avoid curiosity and temptation. It robs parents of their rightful duties and leads to compulsory education, curfew laws, forced vaccinations, etc. It calls for censorship in advertising, where certain things (alcohol, cigarettes, etc.) are prohibited from being displayed on privately-owned signs to shield children from illicit products and services. Police states can be built in the name of helping the children. What’s worse still is that those who object to these laws, arguing that they violate individual rights or are an illegitimate government mandate, are often branded as somehow hating children. Surely those who object to any law which is claimed to support children must therefore have some ulterior motive, we are told. 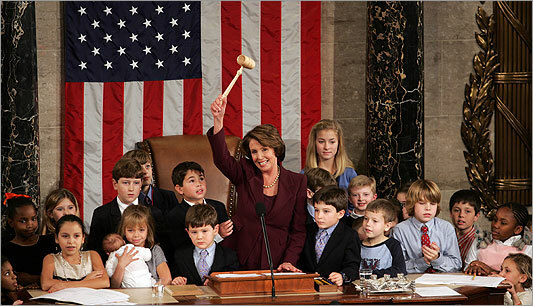 To bolster their position, lawmakers often use children as props when promoting their political agenda. 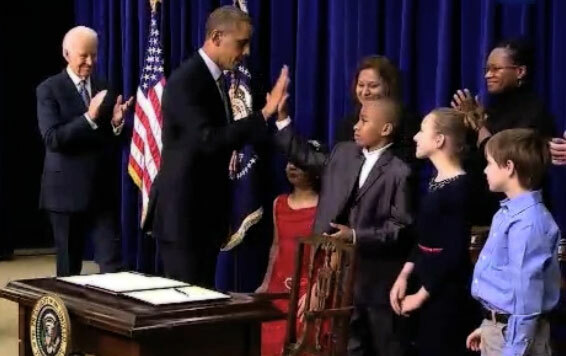 Children need protecting—this is not in dispute. That protection can only legitimately come when life, liberty, and property are secured, and not violated. To the extent that parents need outside help in raising their children, then relatives, neighbors, church groups, and other private organizations can, should, and do step in to assist. But passing a law—a government mandate backed by the threat (or actual use) of coercion—too often violates some people’s rights in the name of protecting those of others, in this case children. To repeatedly violate liberty in the name of protecting children will ultimately lead to a dismal future for those children, where they were “protected” in their infancy, only to grow older and find themselves subject to a more oppressive state than the one under which their parents once lived. Our school district has suffered because of this very argument. They did a bond for $105 million and the payback is over $1.3 BILLION. Even after being the laughingstock of the nation for the worst bond ever, the school board members are STILL saying that it was “for the children.” Heck, those poor kids are going to be PAYING for that in a big way. In fact, many of the financial decisions done “for the children” will become huge burdens on those selfsame children they are claiming to protect. Costly words. Great article, this is basically a way to trample over any right, in my opinion it’s the parent’s fault, to lazy to get up off their butts and actually spend time with they’re children. The T.V. is not your babysitter and neither is the government, do your duties, your children are only going to suffer for your laziness. Where are the Sophie Scholls Today?